Its been a while since I wrote about the books Vansh has been enjoying lately. I like to do that, one for recommendations to other friends and also so that I'll remember the books and the little sweet every day memories attached with them when I read about them later. He loves being read to. Earlier he sat with the books himself as well. He does that now too but not as often as he used to earlier. But that's because he now has an additional pastime of playing and fighting with Jiya. And summers of course mean going out much more. One time when he definitely reads to himself is when he goes to potty where he insists on taking at least one current favorite and at times even two when there's not much interesting happening outside. Before bedtime he begins by saying that he wants to read 10 books and after much bargaining we are able to bring it down to 2 or 3 or 5 depending on how much energy we are left with. 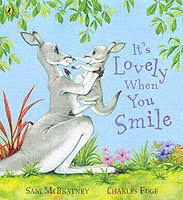 I love it when you smile by Sam McBratney and Charles Fuge - I would recommend this very very highly for the sole reason that its a non-car,non-truck book and Vansh still loves it. Which means it HAS to be GREAT! Jokes apart, it is an extremely lovely story about a little kangaroo who wakes up grumpy one fine morning for apparently no reason, something I think every toddler/pre-schooler can identify with and no matter what his mother does to cheer him up, he just doesn't smile. 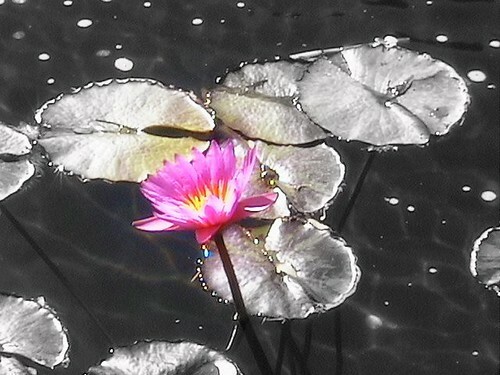 Ultimately what is it that does in deed make him smile? A sweet story with beautiful endearing illustrations add to the exuberance of this book wich is great for a snugly cuddly read and strengthening the mother-child bond. We love to act out the various scenes in the book even when we are not reading it, especially the last part (which i have not mentioned here for the surprise factor). The only tough part is Vansh wants me to carry him and hop at the same time like a kangaroo!! Green Eggs and Ham by Dr Seuss - The classic hardly needs any introduction and this is Vansh's favorite among the many Dr Seuss books that I checked out for him. He has read it so many times that he now reads it to himself from memory and that makes him proud. The biggest advantage I have had from this book is that I use it to encourage him to try a new food telling him how the finicky character in the book actually started liking the green eggs and ham once he tried it. The book has also helped him recognise some words like mouse, house, rain, train, tree apart from the simpler phonetic ones like box, fox, Sam, am, car etc. and he is usually able to generalize them to other books as well. 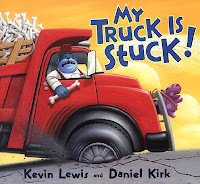 My Truck is Stuck by Kevin Lewis and Daniel Kirk - Like most children his age, Vansh loves books with repetitive text so that he can chime in when its being read aloud. And what more can he want if the text being repeated is about "Rotten luck! Can't go! My truck is stuck" and then asking the car, van, jeep and a bus passing by for "Help! Do you know how to make my stuck truck go" and then "Engines hauling! Tug and tow!" until finally a truck mechanic comes along. The illustrations are humorous and draw the children into the story. Another great book for truck lover kids with repetitive text that I had written about some time earlier is Trashy Town by Andrea Zimmerman and David Clemesha. 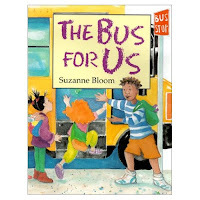 The Bus for Us by Suzanne Bloom has good illustrations he can identify with, of a big brother and his younger sister asking him as each vehicle comes along "Is this the bus for us, Gus?" and then the brother telling his sister the name of the truck, taxi, backhoe, fire engine and the likes till the bus finally arrives. Simple repetitive sentences, just one per page, serve the purpose well for beginning readers. If he enjoys the repetitive tones and words that rhyme - try "Duck in the Muck". He would probably enjoy this book too. Can you suggest some simple books in English for Rishab, where he will be able to follow the book with not too much translation needed. he can understand a little bit of English now. Would be great! hey thanks! been a while since i picked out specific books based on recos. trashy town was well loved & I have a feeling truck we'll be stuck on truck is stuck for a while! gauri: A high five from Vansh to Abhay :) Requested Ducks in Muck from the library. monika, ansh: The public library here is the biggest blessing! pg: I think picture books with just a few words on each page would be perfect for him to begin with. My Car by Byron Barton, The Bus for Us mentioned here. Brown bear, broen bear what do you see is also a good book with repetitive text which children love. I also get books on cartoon characters which Vansh likes, so that ensures an immediate liking to the book - there are some excellent new Curious George books if Rishab likes him. I should get these books too Neera, thanks! lovely books.. I should pick these out for Cheeky!! Will check out the other books..